Lissa is a freelance journalist who writes and broadcasts on horseracing. A regular contributor to the Irish Field, she is the European correspondent for Racetrack magazine. 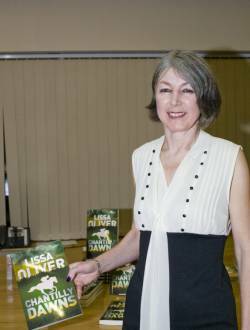 She has been nominated for the Clive Graham Writer of the Year Trophy at the Derby Awards each year since 2008. In 2010, she received a special commendation for her work. She lives in Co Kildare with her family.